The flooding and landslide, which have claimed 12 lives so far, have affected more than 400 villages of Nagaland and around 3,000 people have been displaced due to the incessant rain. 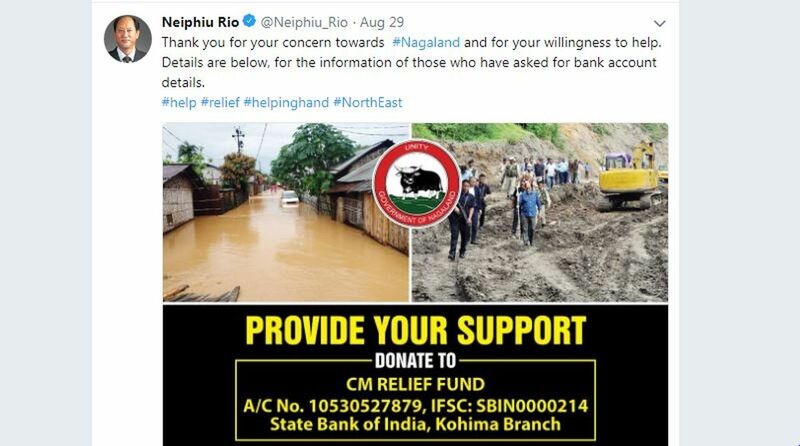 Union Home Minister Rajnath Singh spoke to Nagaland Chief Minister Neiphiu Rio on Thursday and took stock of the flood and landslides situation in the state. He assured the CM that the National Disaster Response Force (NDRF) would be sent for rescue and relief operations. 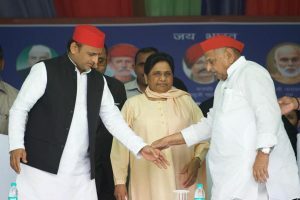 Rio briefed Rajnath Singh about the latest situation in the state. “NDRF teams are being rushed to the state by the Ministry of Home Affairs to carry out rescue and relief operations,” Singh tweeted after a conversation with Rio. The development came a day after Rio urged people to help and shared bank details of the CM Relief Fund on Twitter. Rio had also sought the Centre’s help following incessant rain in the state since July that has caused floods and landslides in several areas there, claiming at least 12 lives and rendering thousands homeless. “Nagaland needs your help. Incessant rain has caused floods and landslides in several parts of the state and has affected many,” Rio tweeted on Wednesday. A Home Ministry official said over half a dozen teams of the NDRF, comprising 45 personnel each, were being sent to the affected areas in Nagaland. According to officials from Nagaland, major roads, including NH-29, are cut off and there is a power failure because of rising water level at the Doyang hydro-electric project. President Ram Nath Kovind also took to Twitter on Thursday and threw light on the adverse situation being faced by Nagaland. “Thoughts with families, particularly children, in Nagaland that have been affected by heavy rains. Urge govt authorities, relief agencies, civil society and citizens to band together and pool efforts. The entire nation stands by our fellow citizens in Nagaland,” the President tweeted. According to the Central government, the situation is currently under control as floodwaters have receded but the state needs major repairs and rebuilding work.